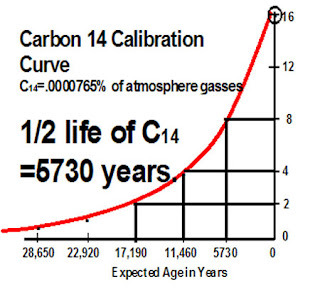 C-14 is another radioactive isotope that decays to C-12. This isotope is found in all living organisms. 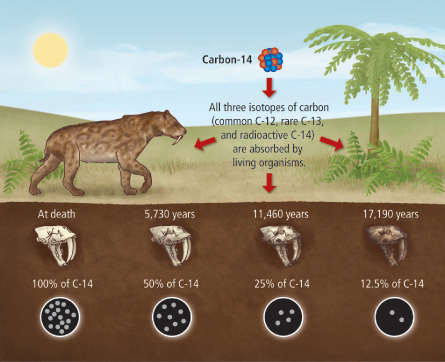 Once an organism dies, the C-14 begins to decay. 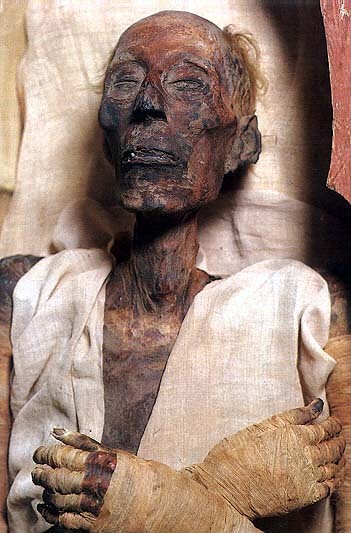 The half-life of C-14, however, is only 5,730 years. 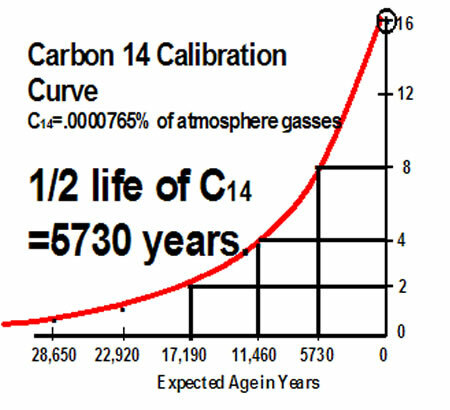 Because of its short half-life, the number of C-14 isotopes in a sample is negligible after about 50,000 years, making it impossible to use for dating older samples. C-14 is used often in dating artifacts from humans. How old is he ..............? For determining age of fossils older than 60,000 years one uses a potassium-argon dating technique. Potassium dating has a half life of 1.3 billion years, thus allowing the age of rocks several billions years old to be determined. A more accurate "argon-argon" dating technique (determining the ratio between argon-39 and argon-40) has also been developed.